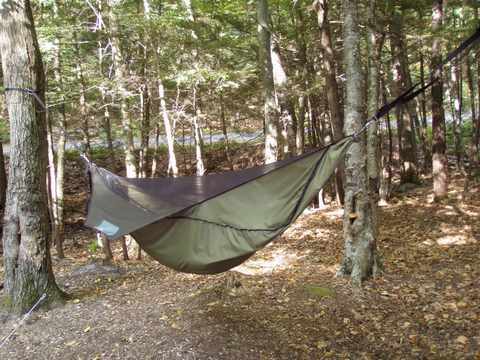 Over the years I’ve given hammocks some thought, even contemplated switching to one or another of the hammock shelters for lightweight backpacking. Now perhaps there is one worth testing. Jim Bradley, author of huskyhiker.com website, reviews this one on Section Hiker, an excellent light hiker blog by Phil Werner. This entry was posted in Uncategorized and tagged Backpacking, Camping, Gear Reviews, Going Light, Hammock, Hiking. Bookmark the permalink.